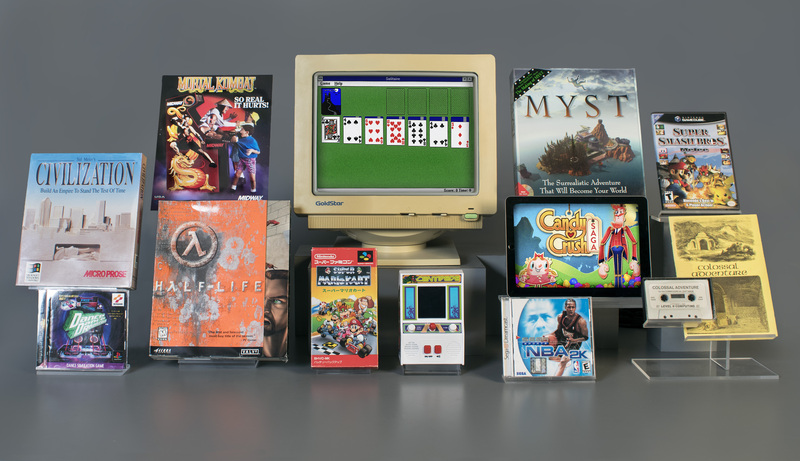 Which video games will make it into the World Video Game Hall of Fame this May? Will Centipede devour the competition? Can Mortal Kombat fight its way to victory? Will Microsoft Windows Solitaire play its cards correctly? Can Super Mario Kart speed past the finish line? Is NBA 2K a slam dunk? Anyone can nominate a game to the World Video Game Hall of Fame online at worldvideogamehallofame.org. Inductees to the first three classes of the World Video Game Hall of Fame—Donkey Kong, DOOM, Final Fantasy VII, Grand Theft Auto III, Halo: Combat Evolved, John Madden Football, The Legend of Zelda, The Oregon Trail, Pac-Man, Pokemon Red and Green, Pong, The Sims, Sonic the Hedgehog, Space Invaders, Spacewar!, Street Fighter II, Super Mario Bros., Tetris, Tomb Raider, and World of Warcraft—are displayed on permanent view at The Strong in Rochester, New York.